In my opinion, this is one of the greatest lessons I have done in the math classroom. Not only did this activity scream STEM, the kids learned first hand the challenges a small business owner can face and that mathematics is useful in many different disciplines. Back story: I was at a birthday party for my friend Erik's girlfriend. We got to talking about the new automotive shop he is building. 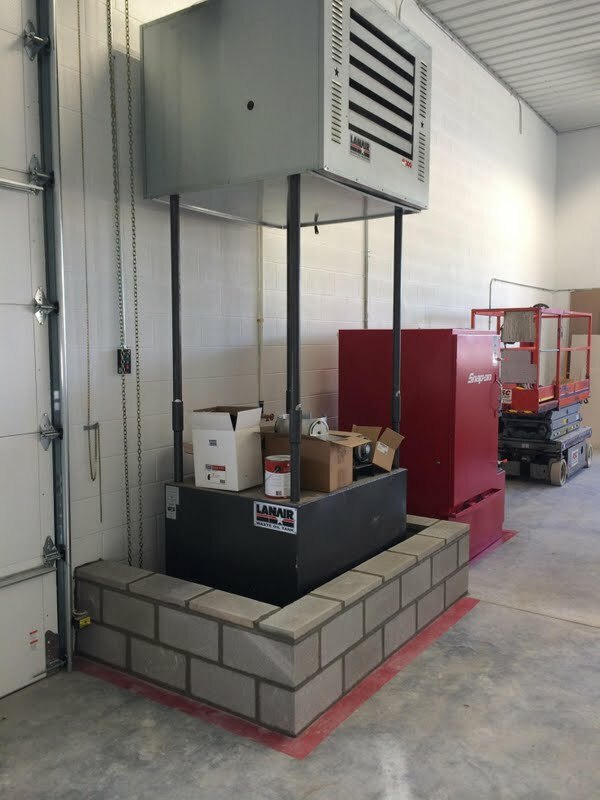 The shop uses a waste oil heater. As they change oil in vehicles, they dump the waste oil into a container. The container has a pump that feeds the waste oil into a long metal tube that burns the oil. The exhaust from the metal tube is piped out of the shop. The air outside the metal tube is heated and blown into the shop area. 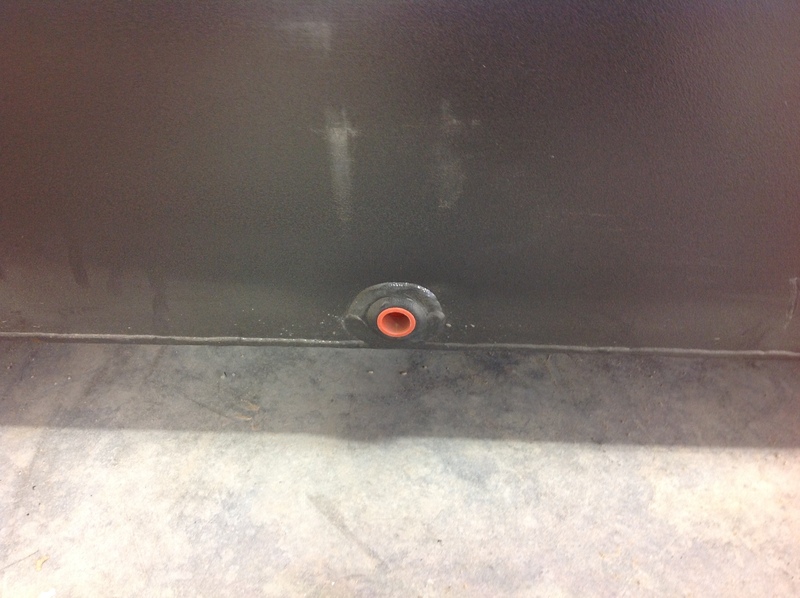 Because the shop is close to a municipal water source, the 215 gallon waste oil tank must be inside an enclosure that can contain an equal volume of oil in the event the tank were to rupture and its contents completely empty out. Erik needed to figure out the optimal dimensions of a cinder block enclosure for the desired tank location. I asked if our MTPS class could serve as consultants and determine the dimensions. I went to the shop building, took photos, and posted them on my school website. Below are the photos I took and showed the students during a Monday class. The students began work on modeling the cinder block enclosure needed to contain the oil in the event the tank is compromised. I had many issues in the Monday class trying to answer questions about the constraints. I invited Erik to attend my Tuesday class and describe the tank and the cinder block enclosure requirements. Erik Nemnich from Nemnich Automotive describes the oil tank storage problem to students during the Tuesday MTPS class. Erik points out in the event of a tank rupture at the bottom of the tank, we can still include the volume of the tank when determining the dimensions of the cinder block oil containment. The students worked for an approximate total of 100 minutes in class. They had to email their solutions by 8:00 am Wednesday morning. Here are some samples of student solutions. Students had to deal with many challenges. Many students wondered how the cinder block would be staggered to provide greater structural integrity. If we simply stack blocks one on top of the other, the resulting structure would be unstable. Since the blocks are 8" x 8" x 16", we can use an interlacing pattern at the corners of the structure to create this desired staggering without cutting block. Designs needed to avoid cutting the cinder block for obvious reasons. Students had to perform conversions between cubic feet and gallons. Students modeled the position of the structure with Geogebra. 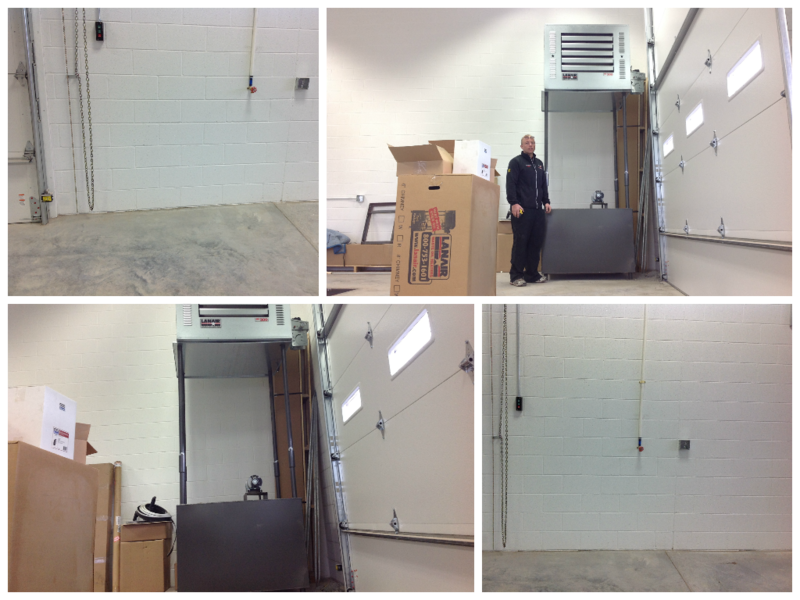 Constraints on the placement wall included the location of the water valve, the location of the garage door sensor, the location of a nearby parts washer, and the amount of space the structure would protrude into the shop floor and workspace. 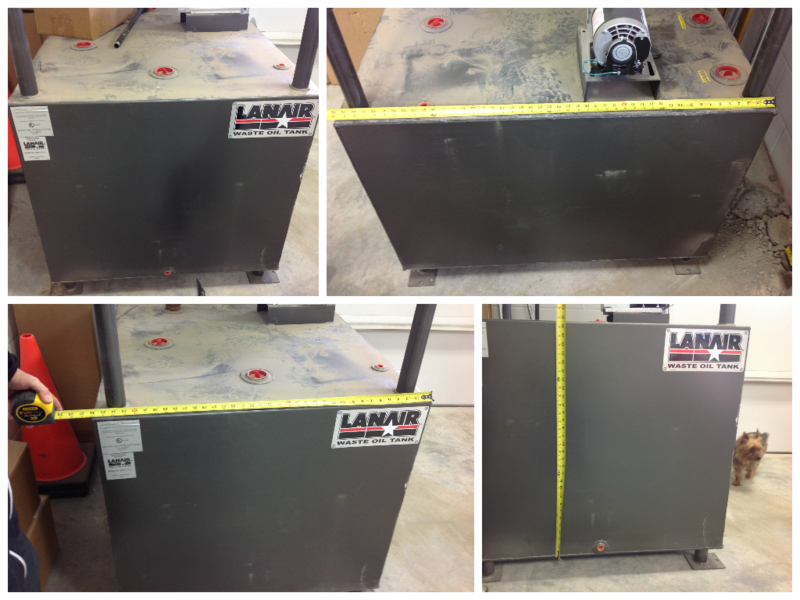 Below is an image of the finished oil tank storage cinder block enclosure. Special thanks go to Erik Nemnich at Nemnich Automotive for the opportunity. Posted in Geometry, PBL: Problem Based Learning, Uncategorized on November 8, 2013 by Shelby Aaberg.